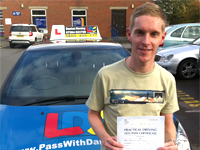 I am delighted to have passed my driving test first time! Massive credit has to go to my instructor, Damian, who throughout my two week semi- intensive course was professional, friendly, knowledgeable and structured my lessons to give a good mix of required skills and avoid burnout on my part! I also found the accompanying DVD and book really useful to supplement my learning throughout the course. I would recommend Damian and LDC to anyone out there considering a semi-intensive course without hesitation! 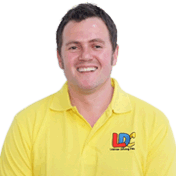 I'm a driving instructor in Wakefield, Leeds, Dewsbury, Batley, Ossett, Rothwell, Woodlesford, Normanton, Pontefract, Castleford, Featherstone, Barnsley, Royston, Horbury and surrounding areas.